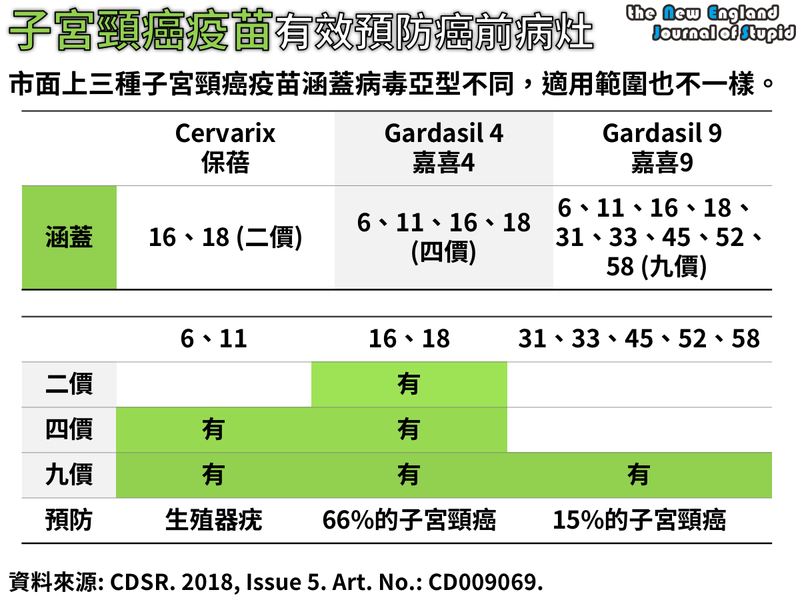 資料來源：Characterization of Human Papillomavirus Infection in North Taiwan. J Med Virol. 2010;82:1416-23. 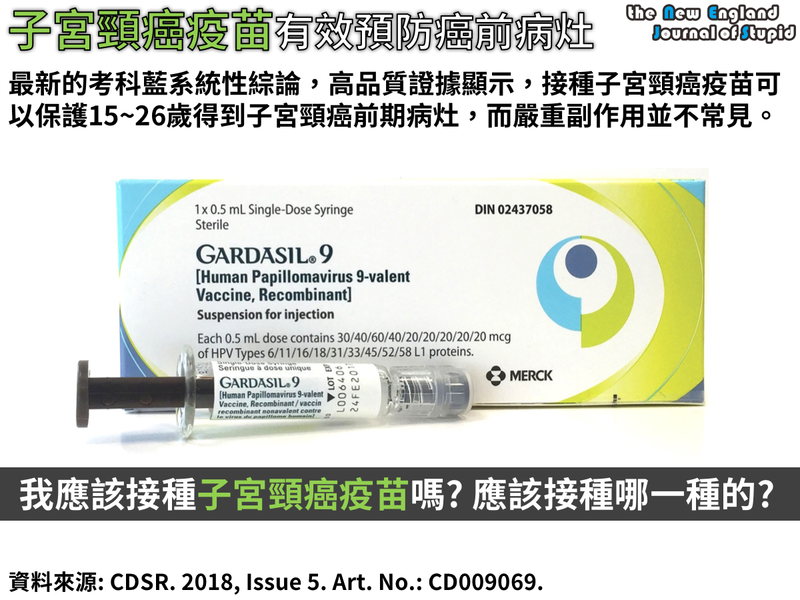 資料來源：Prophylactic vaccination against human papillomaviruses to prevent cervical cancer and its precursors. Cochrane Database Syst Rev. 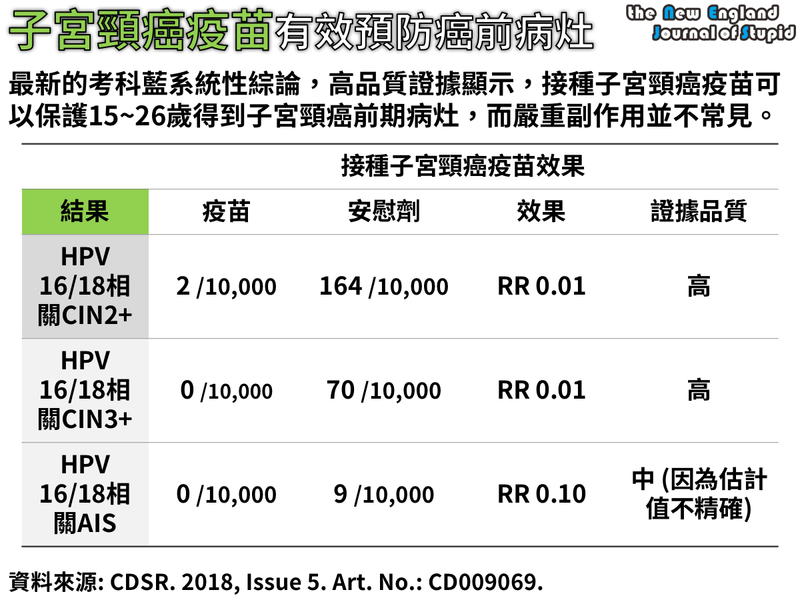 2018 May 9;5:CD009069.